Word Tamer is a site for learning the process of developing characters, settings, and plots. Word Tamer is set up as an interactive journey through a carnival of literary devices. As students move through the carnival they develop characters, develop a setting, and develop a plot for their stories. At each stop in the Word Tamer carnival students can print out the words they have written. Along the way there are videos to help students understand the roles of characters, settings, and plot development in crafting a good story. I first learned about Word Tamer many years ago from Kristen Swanson. 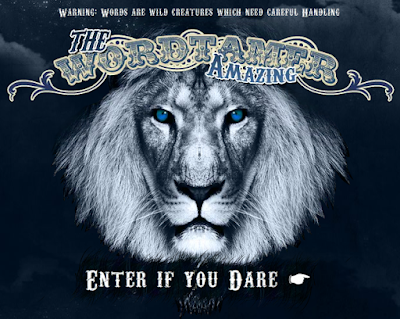 Kristen recommended Word Tamer because she thought that the narration and graphics make the site UDL-friendly. I think that Word Tamer has potential to get reluctant writers started on their way to crafting creative stories. Whether you like it or not, Google is slowly pushing everyone who uses the old version of Google Sites into the new version. For some people this is a source of great stress and for others it's not a big deal at all. If you're a G Suite for Education domain administrator you've probably fielded a few questions about how to make the switch from the old version to the new version of Google Sites. Today, Google announced a new option for G Suite domain administrators to preview a conversion tool for Google Sites. What today's announcement really means is that the conversion tool that has been available to some current users of classic Google Sites through Gmail accounts will become available to Google Sites users within G Suite domains. According to today's announcement the Google Sites conversion tool within G Suite domains will be available starting this week and will roll out to end users by June 19th. It's important to note that not all sites will be eligible for conversion immediately. Those who are not using G Suite for Education, but are using Google Sites through a consumer Gmail account can convert their sites now. Watch the video that I published last month to learn how to make the conversion from the old version to the new version of Google Sites. Learn more about Google Sites and all things G Suite in my online course G Suite for Teachers. Speaker Deck is a free service that you can use to host and share copies of your slides. Before you get too excited about Speaker Deck, bear in mind that it only supports embedding PDFs. The shining feature of Speaker Deck is that it will automatically re-size your PDF to fit each slide in the display that your blog visitors are using. In other words, someone viewing your slides on a phone will have the same experience as someone viewing your slides on a 15" laptop display. To use the service you do need to create a free account. Once you have created an account you can start uploading your presentations. As mentioned above, your presentation must be in PDF format. Because Speaker Deck only supports PDFs your presentation won't play any videos, audio files, or animations. Speaker Deck is a bare-bones service, but it is easy to use and could be useful for sharing presentations that are image and text heavy. For schools that don't use Google Slides or the online version of PowerPoint, Speaker Deck provides a simple solution for publishing presentations. For the last couple of years ClassDojo has offered a digital portfolio feature called Student Stories. This summer ClassDojo is introducing a new portfolio option called simply ClassDojo Portfolios. The new ClassDojo Portfolios will be student-led portfolios. Students will choose the items that they want to include in their portfolios. They can include pictures, documents, videos, notes, and drawings in their portfolios. Just like in the current Student Stories teachers will have to approve all submissions before they are shared. Parents will be able to see only the work of their children and not of other children in the class. And parents will be able to see the portfolio from the same ClassDojo app that they already use to stay informed about how their children are doing in your classroom. ClassDojo Portfolios will be available to use on iPads and Android tablets. Students will be able to log-in without a username and password. Students scan a QR instead of using usernames and passwords. The new ClassDojo Portfolios will be available in July. You can learn more and register for early access here.